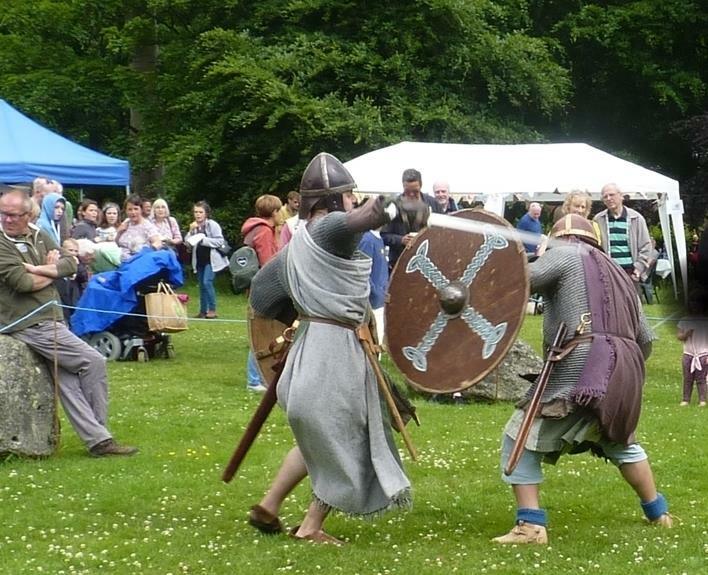 * Cwmwd Ial re-enactors will battle it out at the garden fete tomorrow afternoon. The warm sunny weather is due to continue through the weekend which is great news for organisers of tomorrow's Plas Newydd Garden Fete. Admission is free for the big annual event which starts at 2pm and there is something for all the family, they say. You can listen to Silver Band and watch the exploits of the Cwmwd Ial re-enactors who will take you back to medieval times with their authentic costumes and battle scenes. The children can enjoy a magic show and Punch and Judy and also have a go on the bouncy castle. Tracy from Glitter Box will be on hand for the face painting. There are many competitions including football darts coconuts and hook-a-duck for the little ones. All the usual selling stalls will be there including Inner Wheel’s famous home-made cakes as well as plants and bric-a-brac and many more. The refreshment tent will be open all afternoon serving tea, coffee cakes and sandwiches. This year a record number of charities and organizations from the town have applied for stalls so there will be plenty of variety. This event has been held continuously for over 50 years so go along and support a great community effort with all the proceeds going to good causes.